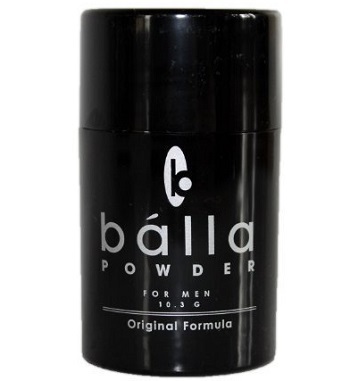 When men need to stave off sweat and smell great, they reach for Balla Powder. This effective talcum powder is the perfect way to stay dry and comfortable all day long, even in hot temperatures. It can be used all over the body to prevent perspiration. This refreshing product is ideal for all skin types, and it comes in several different varieties. 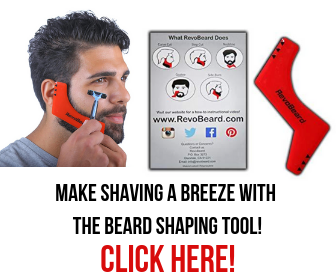 It works miracles after a shave, keeping your pores closed and preventing irritations. Whether men want a fragranced powder or an unscented one, Balla has a product for them. Ahead, learn all about the features and functions of Balla Powder. Men can easily use this powder as a dryness and anti-chafing tool, even after a recent shave. It can be applied to all parts of the body, from the armpits to the privates and even on your face, and it will leave the skin feeling refreshed and smelling great. There are three varieties: the Original Formula, the Tingle Formula, and the Fragrance-Free Formula. All formulas are available in two sizes, 100g and travel size, and they come in stylish black and metallic bottles. *The price of a Balla powder container ranges between $36 and $42 on Amazon. It varies depending on the container’s size and on the chosen fragrance. The Original Formula contains three main ingredients: talc, zinc oxide, and zinc stearate. This fine Italian talcum powder is perfectly blended to ensure dryness all day long. It also has a pleasant, oak and musk scent that is exclusive to Balla Powder. For men who want a stimulating start to their day, the Tingle Formula is perfect. This talcum powder is infused with Eucalyptus Oil, Peppermint Oil, and Rosemary Oil, which induce an invigorating tingle feeling. Balla refers to this product as “air conditioning for the soul” due to this refreshing sensation. Thanks to these additional ingredients, this Balla Powder has a cool, minty scent. Still, if you want to use this powder on a fresh shave, we recommend you stick with the original formula to avoid feeling a stingy sensation on your sensitive skin. The Fragrance-Free Formula is ideal for men with sensitive skin, as fragranced products are not suitable for all skin types. It’s also great for men who don’t want their shaving or grooming products to interfere with the scent of their cologne. This product only contains talc, zinc oxide, and zinc stearate, and it’s sure to produce an extra dry feeling. Balla Powder is easy to use. Simply shake a bit of powder into the palm of your hand, and then rub it into the intended areas. This powder can be used at all times of the day: in the morning, before you go to sleep, before or after a shave, pre-workout, and much more. It’s sure to keep you dry and un-chafed. Balla Powder keeps the skin dry in all situations. High temperatures and long days are no match for this fine Italian talcum powder. While other talcum powders might beat the heat for a few hours, Balla products last all day long. This prevents embarrassing sweat stains, unpleasant odors, and other consequences of perspiration. Many men experience chafing, especially those who shave daily. This is because the friction caused by repetitive motions leaves the skin vulnerable to irritation, blistering, and even bleeding. Balla products reduce the risk of chafing, as they leave skin feeling dry and smooth. For men with sensitive skin, fragrance products can cause irritation. Balla Powder is available in a fragrance-free formula, which is great for men who are unable to use fragrance powders. Balla Powder comes in an easy to use container. When you lift off the solid cap, you’ll see a sifter with holes. This makes it easy to shake a bit of powder into the palm of your hands without making a mess. Poorly designed talcum powders often leave a cloud of dust in their wake, but Balla containers are designed to prevent unnecessary messiness. This highly absorbent powder helps to fight the effects of foul-smelling bacteria. If left unchecked, bacteria can lead to rashes and other types of irritation. Also, most men, after a shave, experience a more sensitive skin which is vulnerable and prone to irritations and even infections. These issues can be avoided with Balla powder. This powder is more expensive than other talcum powder options. Men who value quantity over quality may want to purchase a less pricey powder. Many users find the Tingle Formula refreshing, but others find it irritating. Men with sensitive skin may want to steer clear of the Tingle formula, because the tingling sensation may be more irritating than invigorating. Some users complain that the Fragrance-Free powder still has a mild aroma. Men with sensitive noses may find that the Fragrance-Free Formula is too scented for their purposes. While the Balla container is designed to prevent mess, other powders come in convenient spray bottles. Men prone to messiness may want to opt for a spray powder, which minimizes spillage. While this powder is made of high-quality ingredients, its formula is relatively simple, containing nothing but talc, zinc oxide, zinc stearate, and fragrance. Other powder products have additional ingredients, ranging from botanicals to menthol. Some men may prefer other formulas, which contain soothing agents to calm their skin after a shave. Balla Powder is one of the best powder products available. That’s because this micro-fine powder acts exactly as advertised: it keeps the skin dry and irritation-free, regardless of temperature or circumstance. Instead of rubbing an aftershave that contains alcohol, men can simply shake a bit of powder into the areas where they’re most likely to suffer from post-shave irritations. This powder is a must-have product for men who want to feel fresh and keep their skin clear of rashes. Have you ever used Balla Powder? Try it now to beat the summer heat!